The esteemed car company is showing no signs of slowing down. Maserati continues to exceed expectations in both the automotive and business industry. Their consistent growth and trend-setting launches have provided a foundation for other car companies to follow. Each year, millions of people expect to see a new model unveiled with the latest features and some type of technology that blows away old models. It has become a trend in today’s ever-growing automotive industry. Car enthusiasts raise expectations each year to a higher standard. Combine that with the competitive nature of other car companies trying to scratch and claw their way to the top and you have an all-out sales brawl. Maserati has always focused on their internal structure. With continuous investment back into the company, it’s no wonder they’re a premiere class in a league of their own. 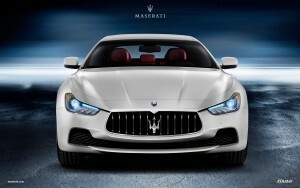 Steve Doctrow, Executive Vice President of Rogers & Cowan, has worked with Maserati on marketing campaigns in the past. He understands the fierce competition that the auto industry faces every day. This is why global marketing and widespread reach is so crucial for car companies. Maserati’s triumphant profitability margins have skyrocketed because of their consistent focus on “reaching for success”. Each year, Maserati never fails to impress. With their core business reaching new heights and their fundamental marketing strategies focusing on broader audiences, one would expect there to be continued success for this prestigious company. One thing that you can expect, however, is that they have no plans of slowing down.